Do I have some behind-the-scenes stories for you about this episode! This whole visiting the Stone Lion Inn was an idea from Brian of the Okie Show Show. He thought it would be fun to do a crossover episode where we would be in character for his show. Since it’s established that Tales Unveiled is a podcast in the show itself, it was natural to work everything in. When recording with them, both Jeff and I would’ve made some jokes, but we held back to keep in character. It was a fun episode to record with a dynamic contrast to our seriousness with the Okie Show Show’s comedy. 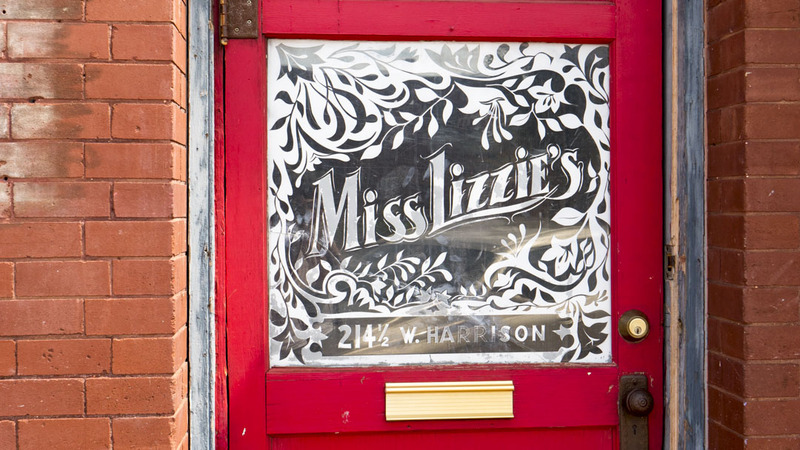 True story: The scene with the front door being locked really did happen. However, that’s not the only spooky thing to happen to us. There are some differences between our two episodes. In Tales Unveiled, we have a prologue with Geoff and Sam exploring the house. The introduction to the interview on Okie Show Show is different than how it happened with Brian leading the discussion. In Tales Unveiled, we stopped recording after the ghost stories, however, the interview continues in Okie Show Show with them talking about making movies at the Stone Lion Inn. The last scene of the Okie Show Show interview has all of us trying to talk with the spirits in the dark. Being in character, I kept saying there was no such thing as ghosts. When the lights turned on, one of the bulbs burst as if it were a sign. Brain did record this on video if you dare to watch it. Tales Unveiled is a production of The Show Starts Now Studios and is produced by me, Dennis Spielman. The voice of Sam Saxton is Dennis Spielman. The voice of Professor Geoff DeRoot is Jeff Provine. Featuring Brain, Laney, Nicholas, and Rebecca as themselves. Jeff and I recorded both this episode and the Stone Lion Inn one on the same day, which was a huge time saver. We walked around, trying to get a few people to be interviewed about the area, but we were meet with people not wanting to be recording or didn’t have any stories. It was a Sunday afternoon when we went to Guthrie and a few places were closed. The fabric store, which we had both visited last year for Uncovering Oklahoma, had closed up shop to our surprise. We did manage to get a couple of stories and a great interview from Stacey Frazier. I’ve been enjoying this mini-arc leading up to the Stone Lion Inn. The voice mail from Brain in this episode was a happy accident. Though miscommunication/misunderstanding, Brain spoke as if we were coming today when I wanted a line to be used before in the last episode on Bricktown. Another happy accident was the timing of the train in the background right when we were talking about the train station. We did comment about it during the interview, but I cut it out for pacing. Tales Unveiled is a production of The Show Starts Now Studios and is produced by me, Dennis Spielman. The voice of Sam Saxton is Dennis Spielman. The voice of Professor Geoff DeRoot is Jeff Provine. Featuring Tammy, Art, Stacey Frazier, and Brian Gililland as themselves. If you love what we’re doing, want us to keep being artist owned and patron supported, click here. In return, you can get early access to my shows! I have two spooky encounters/stories to tell about recording Tales Unveiled and a crossover/collaboration with the Okie Show Show at Stone Lion Inn last night. While Brian Gililland from the Okie Show Show was setting up his recording equipment, Jeff Provine and I stepped outside to record our introduction to the place. Also outside at the time was Brain’s wife making a phone call. We went back inside. I had both my hands full, one on the mic and the other holding my recorder to capture the sound of the old wooden door opening. Jeff closed the door behind us and we went to check on Brian. About 15 seconds later, Laney tries to get inside, but the deadbolt was locked. The second story happened toward the end of the night. Spoilers for Okie Show Show ahead as this next bit was recorded. We were doing a bit for Okie Show Show where all of the lights were turned off and Brian was asking for a ghost to talk to us. 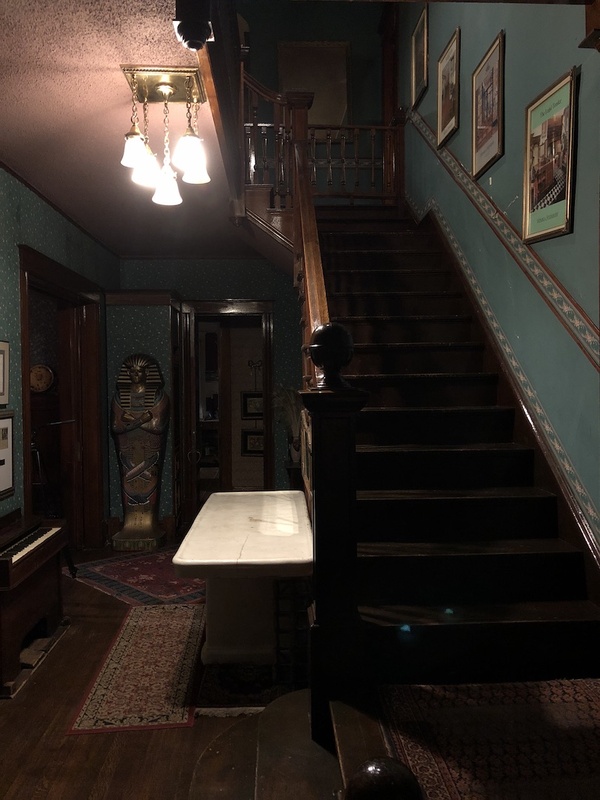 The owner of the place was in the hallway while the rest of us were gathered around a table when said she saw shadows moving upstairs. There were jokes about no one wanting to check it out when I very definitely ranted about there not being any ghosts (I was still in character of Sam Saxton). I stood up and went to look for myself and saw…Nothing. I took a seat and went on and on about there being no such things as ghosts. They gave up and turned the lights back on. I was still ranting as the lights were turned back on and one of the lights above us popped. Those are my stories from last night on Sunday. I’ll share more about the recording process when I release the episodes. Our crossover episodes will be out next month! No longer an obsolete form of entertainment, the viral trend of table games is officially sweeping down the plains. 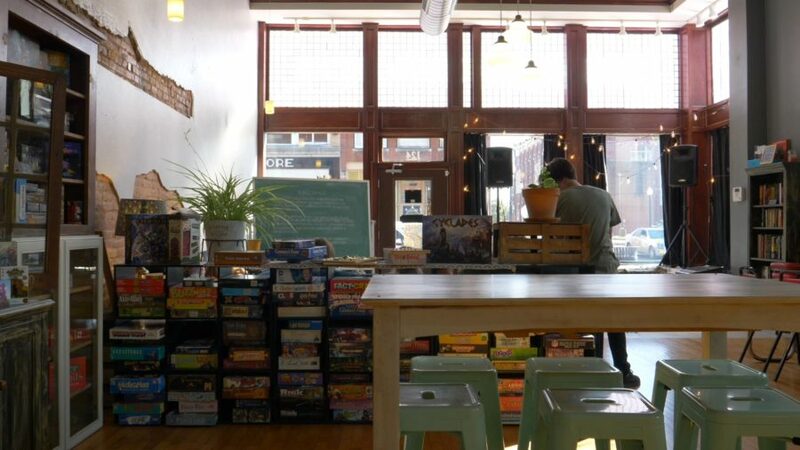 However, The Boarding House Game Lounge in downtown Guthrie is taking the movement a step further. Along with the hundreds of popular game titles and the snack and beverage choices typical of table game cafes, The Boarding House has created an eclectic oasis of cozy lounge areas, interesting art, and other creative touches to form a truly unique atmosphere. 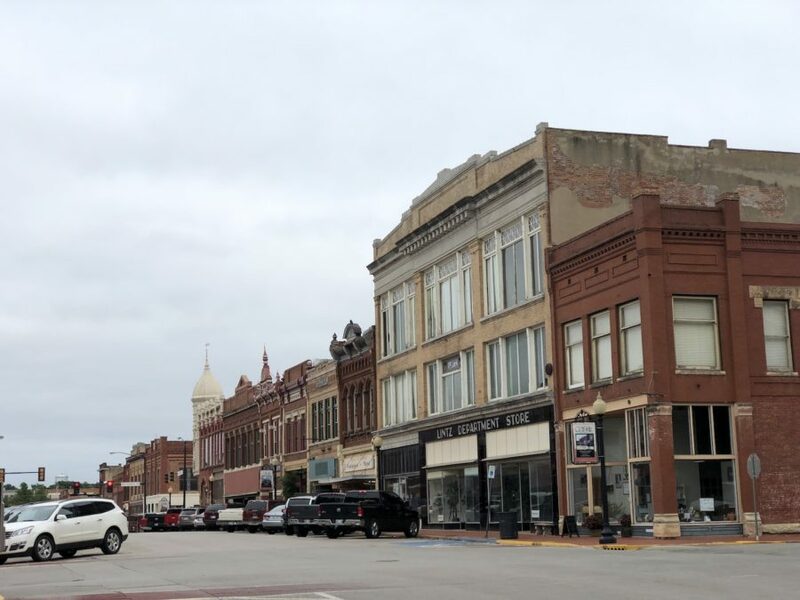 Housed at 124 West Oklahoma Avenue in the heart of historic downtown Guthrie, The Boarding House is one of the key new businesses helping Guthrie make an economic resurgence. Greeting guests at the door is a large stage to the left, which is used for live music events such as their Fusion Friday nights, as well as for events. Most of the east wall is covered with shelves of every game imaginable, and over at the bar is a wide range of snacks and drinks including real-ingredient frappes and pizzas. Upstairs in the mezzanine level amidst the low ceiling, exposed brick walls, and vinyl-and-book store, is more seating and eclectic fixtures—a favorite haunt of RPG gamers playing Dungeons & Dragons. Back downstairs, peppered between the mismatched tables and comfortable lounge furniture, are homey touches like potted plants, vintage lamps, and—of course—more games. The Boarding House’s game library currently boasts over 375 titles. Board, card, and dice games as well as vintage, classic titles, and new releases are all available for a small daily fee. Love what Uncovering Oklahoma has been doing? I could use your support. 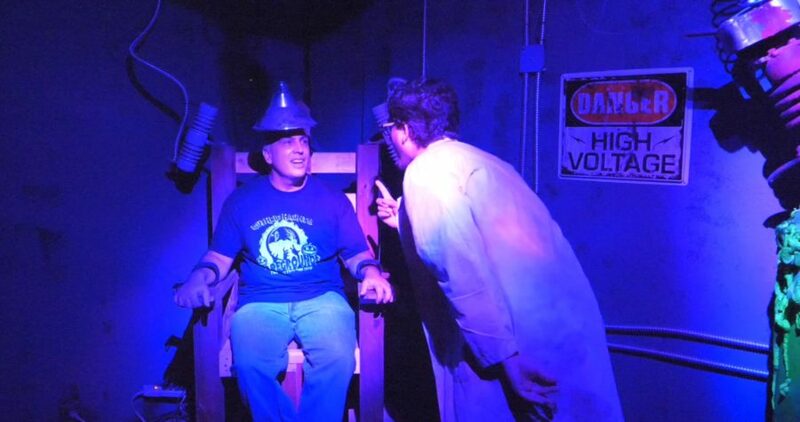 In this adventure video, I interrogate John Pagonis of Guthrie Haunts on the electric chair and I chat with two of the artists of Not For Sale on a comfortable couch. While I’ve done videos on both of them recently, for my adventure video I went on a different route. 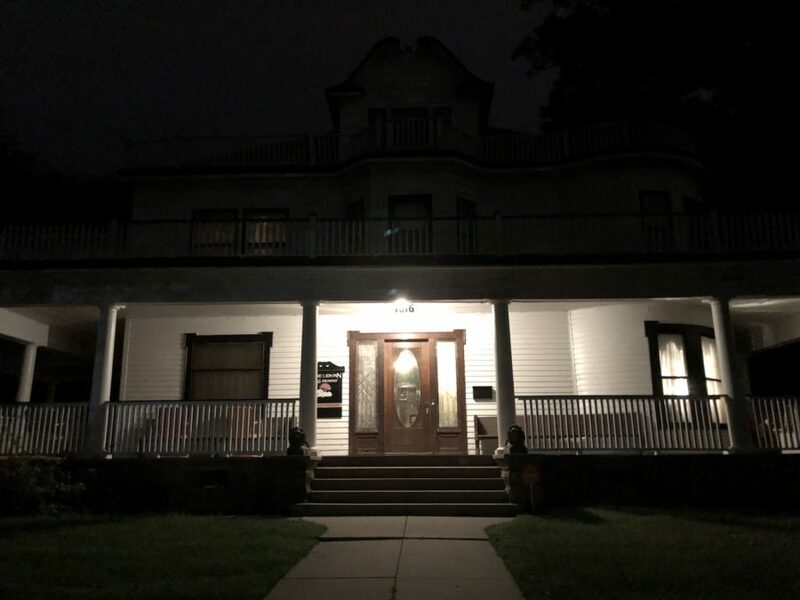 For Guthrie Haunts, we talk about both of the haunts and on Not For Sale, I interviewed two other artists that I didn’t interview. I wouldn’t call this video a rehash.